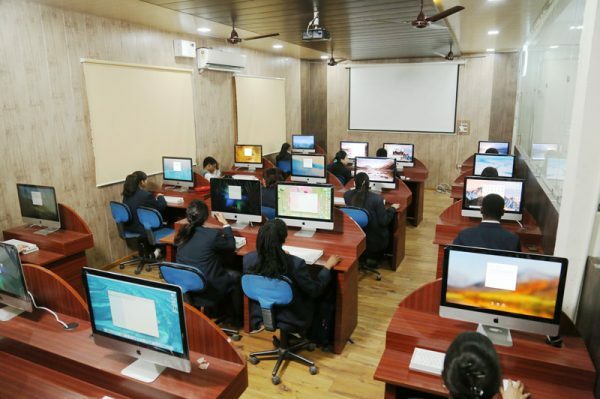 The purpose of this lab aims at providing students the knowledge about the Apple iMac X Operating System Environment. Mac OS X is the World’s most advanced operating system. Wireless Internet access(Airport Software) available in this Lab. In this lab provides modern computational and research facilities to both Under & Post graduates and research students. Apple laboratory is built on the world’s most advanced operating system the Macintosh is easy to use as it is powerful. It comes with applications the help students create amazing projects. Apple lab connected to the remote Mac OS X server located at Hi-Tech Laboratory, Main Campus. Mac OS X is both easy to use and incredibly powerful. Everything from the desktop you see when you start up your Mac to the applications you use every day is designed with simplicity and elegance in mind. Making amazing things simple takes seriously advanced technologies, and Mac OS X is loaded with them. Since the software on every Mac is created by the same company that makes the Mac itself you get an integrated system in which everything works together perfectly. The advanced technologies in the operating system take full advantage of the 64-bit. These technologies provide for power for things like multi way chatting, real-time reflections, and smooth animations. Mac OS X doesn’t get PC viruses. Many features you won’t find in other operating systems. For example, the built-in Voice Over screen-reading technology makes it possible for those who are blind or have low vision to control their computer using key commands or gestures on a multi-touch track Pad. Mac OS X also provide out of the box support for over 40 braille displays, including Bluetooth displays etc. Apple Lab full-featured version that includes a large collection of beautifully designed Applications. It’s support different OS including Windows and Windows Applications. Students learn by a team of faculty experts and lab Programmer. Apple lab is used to train the students to improve their programming knowledge and make experiments to get familiar with the core Courses. • Subscribe to Netflix, Show relevant documentaries or shows.